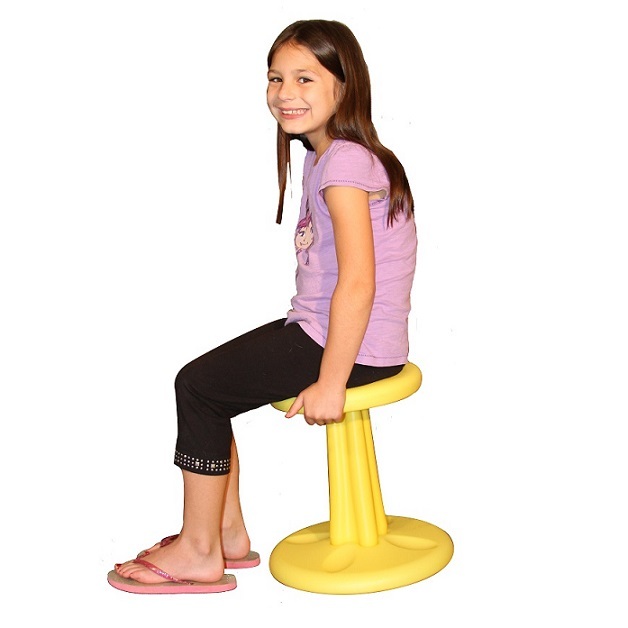 Kore Design’s Wobble Chair means kids don’t have to sit still. Wobble Chairs transform the boring conventional seat into a chair that really ROCKS! Regular chairs force young bodies to conform to an unnatural posture. The innovative Active Chair’s gently rounded KORE ergonomic base allows children to move & flex without leaving their seat. It’s the BEST seat in any classroom. Homework, drawing, eating and playing, video/board games are no longer sedentary activities. Colorful choices make it a good fit for any child's room or classroom. Ideal for children with ADD or ADHD; provides an outlet for restlessness and creates a secondary focus.